Flush switch for Thetford C200 S/CS Toilets. Located below blue push button and provides 12v supply to the electric valve to flush the toilet. Thetford part number 23716. If you have a 200cs toilet where the flush water is taken from the caravan water supply then the problem is likely to be the operating switch or the electric valve. 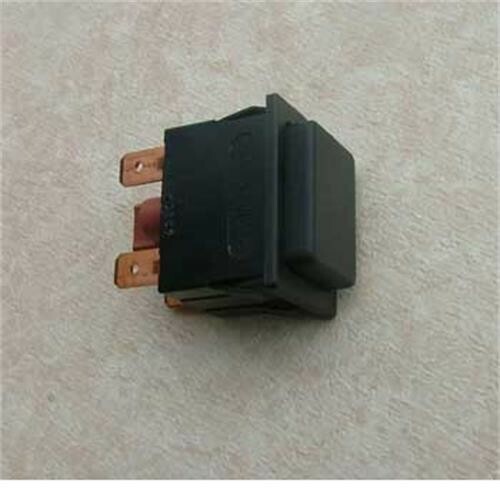 It is easiest to check the switch first by 'shorting' the switch by connecting the input and output wires and checking that the electric valve works each time and introduces the flush water. The flush switch is our ref. 130669 and the switch panel has to be removed to access - two screws under the blue button. Excellent service for replacing my thetford cassette toilet switch,particularly as it was promptly sent to the South of France!! Very well done to all involved. I will use you again and recommend you to all my motor homing friends.